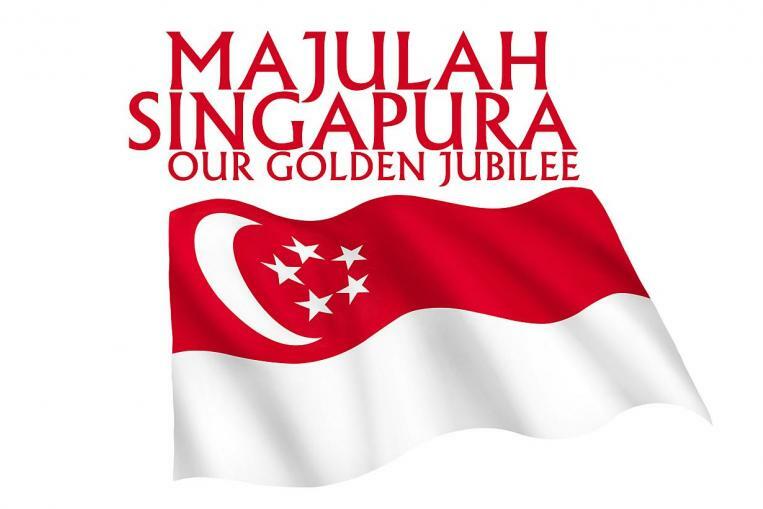 This long weekend, Singaporeans and residents will celebrate our country’s 50th birthday in grand fashion. Decked in our finest red and white splendour, many of us will literally and metaphorically paint the town red – and white. The National Day Parade to be held at the Padang tomorrow evening will boast a glorious display of our military and civilian might, with breathtaking fireworks that are unprecedented. Multitudes of Singaporeans, residents and tourists alike will join in the spectacular celebration around the Marina Bay area. Numerous parties, community events, and other #SG50 extravaganzas will also be held around the island. They will be graced by politicians, personalities and celebrities, and attended by people from all walks of life. Beyond the partying, feasting and merry making, I thought it may be useful to reflect upon what Singapore has achieved, and where I hope it would be. As a tiny resource-constrained island, nation and state, we have achieved much in the past 50 years. We have moved mountains and leveled molehills to carve out a livelihood for ourselves. On numerous economic, academic and life indicators, Singapore has consistently punched above our weight. These cover a wide range of progress KPIs – from the global ranking of our airport and seaport, financial hub status, people’s health, technology adoption, to education. Of course, this did not come easy, and we have to constantly remind ourselves not to take our prosperity for granted. If we look around us, we see evidence of a modern and cosmopolitan city beaming brightly back at us. Gleaming skyscrapers clad in glass and steel form our skyline. Smart looking executives strut purposefully through Raffles Place, while glancing at their state-of-the-art smart phones. The gears of a well-oiled economic machinery keep Singapore Inc busily buzzing, cranking out jobs, wealth and prosperity for Singaporeans and residents alike. Beyond beholding the ingenuity of our infrastructure or the might of our manpower, I treasure the peace and harmony that we enjoy on our island. Singaporeans and residents from different ethnicities, religions, lifestyles and financial statuses can easily banter with one another, enjoying each other’s company without fear of repercussion. While we do experience occasional tensions and frictions, we usually find a way to make peace rather than to fan the flames further. The mere fact that you can allow your children to travel alone at night without worrying unduly about their safety says a lot about what we have achieved. Chinks in the Singapore armour? While we celebrate our progress on various economic and socio-cultural fronts, I do acknowledge that there are stresses and strains here in Singapore. Many of these are unavoidable – the result of trade-offs that have to be made one way or another as a country progresses forward and upward. Many of these problems are a result of the tension between growth and infrastructural capacity. They include the peak hour crowds in our MRT trains, high costs of home and vehicle ownership, pressures of performing well in our schools, and the challenges of matching jobs with the aspirations of Singaporeans. And then, there is the dilemma between development and conservation. What percentage of our green cover should we preserve for the enjoyment of our population versus catering to the growing needs of our population? Beyond these issues, we need to dance the thin line between welcoming foreign friends to bolster our workforce – especially in occupations shunned by Singaporeans (and there are many) – while ensuring that our infrastructure and social fabric remains intact. It isn’t easy to manage these challenges. Occupying less than 720 sq km in total, Singapore is a tiny island. While I also do grouse about these issues, I am mindful too of the fact that we are doing whatever they can to make the best of our limited resources. So what are my dreams and wishes for Singapore as we celebrate our 50th National Day? My first wish is for us Singaporeans to be kinder and more other-centric as a society. Let us focus more on the needs of others and less on our own wants. Let us seek to tolerate the idiosyncrasies of others, even as we impose on others with our own eccentricities. Let us rid ourselves of our xenophobic tendencies, even as we behave ourselves whenever we tread on a foreign land. This brings me to the topic of our online behaviours. Honestly, much of our ranting and raving on social media isn’t going to help our situation very much. When we feel that we are victims of a grave misjustice, we should tackle the issue directly with the party at fault. I find that an assertive yet civil email or letter to the other party can often yield positive outcomes. Not always of course, but often enough to make the practice profitable for me. In the words of Stephen Covey, “Seek ye first to understand, and then to be understood”. If I haven’t walked a mile (or even 10 metres) in the shoes of another party, I should not belittle him or her for a job badly done. Beyond treating our fellow Singaporeans and residents with greater compassion, I hope that more Singaporeans would be conscious of our impact on the environment. I have got nothing against consumption – in fact it is good for the economy. However, let us be more aware of the waste and pollution that we generate, and seek to reduce our environmental footprint not just on our immediate living environment but the greater world around us. Ambition, excellence and drive are good qualities. They are the foundations of Singapore’s success story. However, while we aspire towards a gleaming future, let us not forget to be kind to ourselves. Let us seek to be more present in our lives and appreciate the little moments that make up the quintessence of life. Take some time to smell the orchids and hear the birds singing. Enjoy a walk in the fine parks in our city. Explore new neighbourhoods. Enchant your senses with the fine aromas and tastes of our hawker food. Play with your kids. Last, but not least, I wish for more Singaporeans to be courageous in pursuing their dreams. We need to defeat our inner “kiasi” (scared of death) and “kiasu” (scared to lose) demons, embrace our vulnerability, and take bold steps to do what our heart truly desires. As Brene Brown has written in Daring Greatly (thanks to Priscilla Tan for loaning me her copy), we can only live whole-hearted lives when we are comfortable in our own skins – warts and all. Instead of worrying over the 5 Cs and constantly comparing ourselves to others, let us develop shame-resilience and celebrate courage and diversity. By doing so, we are able to run our own race, set our own yardsticks for success, and live more fully and whole-heartedly. What are your dreams, wishes and aspirations for Singapore? Meanwhile, have a wonderful National Day 2015!